Do you want a delicious dessert that only takes 5 minutes to prepare? And uses just five ingredients from the supermarket? 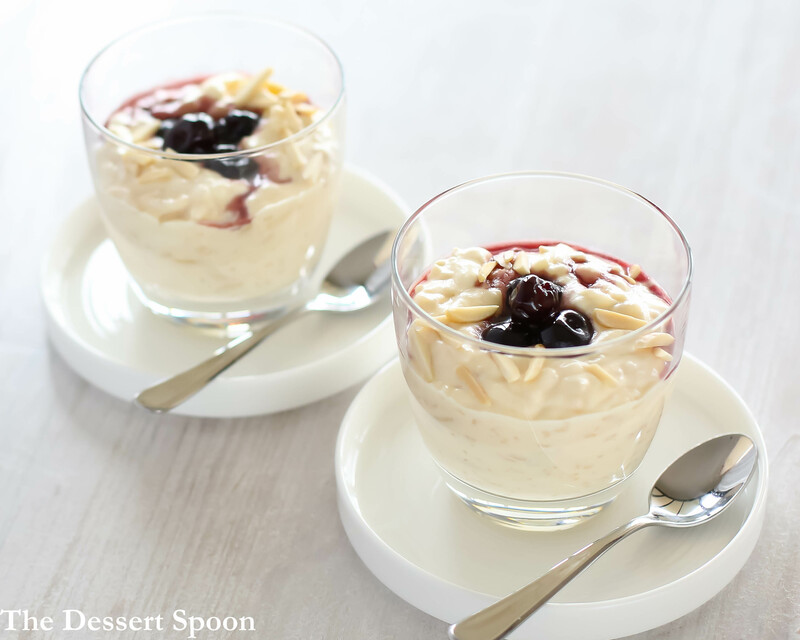 Risalamande (Danish Almond Rice Pudding) is perfect for the time-poor cook who still wants to impress! 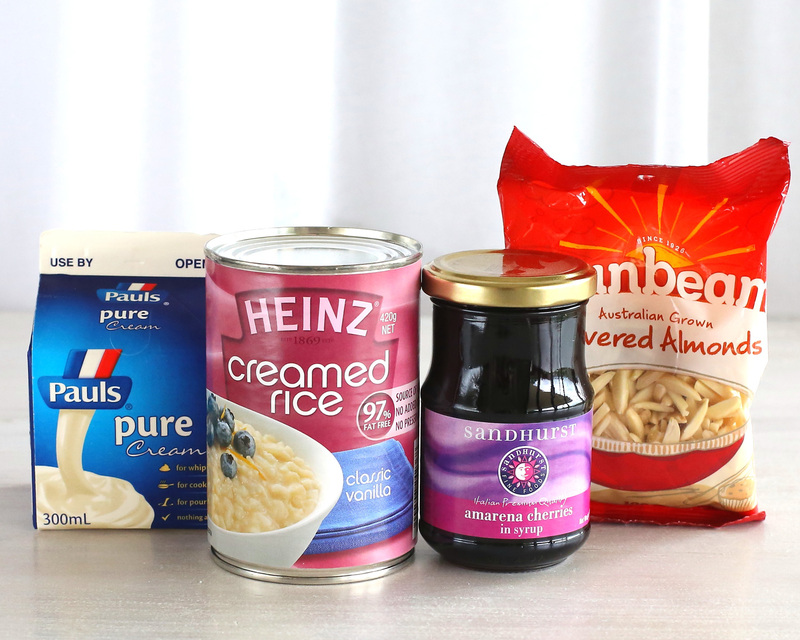 It is so quick and easy to make and uses simple ingredients. It’s also great for a dinner party as it may be made well in advance and kept in the fridge until needed. I was surprised at how much I enjoyed this dessert since I’m not a huge fan of cream and I’m bit indifferent about creamed rice. This dessert is rich and creamy and not too sweet with the cherries offering a slight tartness to the dish. The almonds add just the right amount of crunch. Risalamande was first created in Denmark in the late 19th century and is typically served at Christmas time. I know it’s not even close Christmas at the moment but I’m not Danish either. I don’t let these small details get in the way of a good dessert! Reserve 2 tbsp of the almonds as garnish. Whip the cream. Fold through the creamed rice, vanilla, and the remaining almonds. Spoon into glasses or bowls. Garnish with the cherries and reserved almonds. Serve. 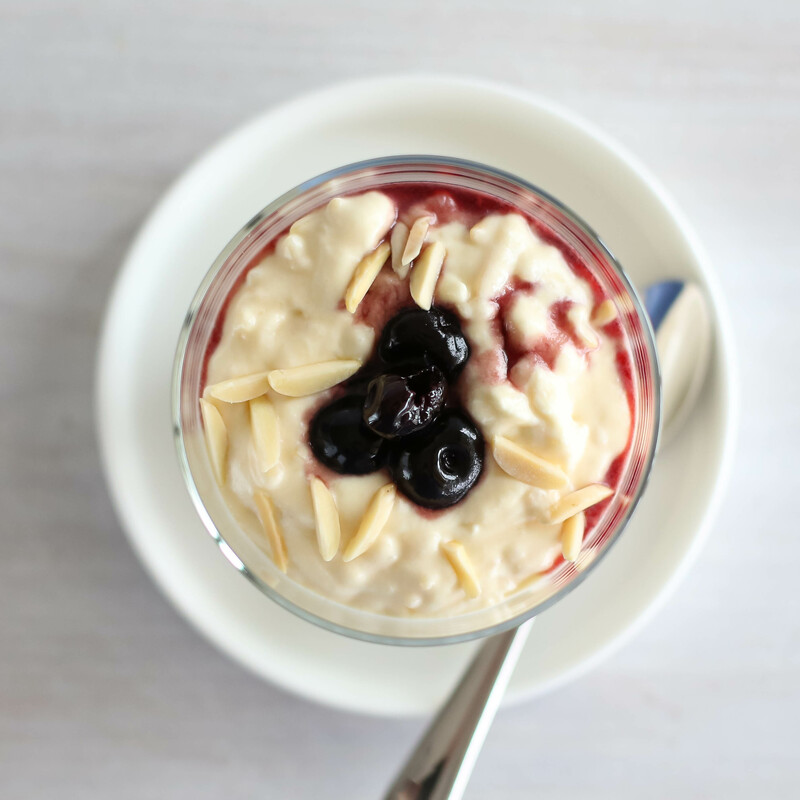 This dessert keeps very well in the fridge but add the cherries just before serving otherwise the syrup bleeds into the creamy rice and then it doesn’t look so pretty! Posted in Puddings & MoussesTagged Christmas, Danish, Denmark, egg free, gluten free, riceBookmark the permalink. Beautiful shot as always, Stephanie! I adore your lighting! Yum! This rice pudding looks delicious. I have to make it. This looks fabulous! We had some at a Danish friend’s house once for Christmas. What a treat!